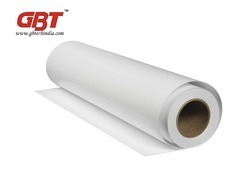 Create beautiful drafting prints, banners, signage or photographs with rolls of wide format paper designed to work with your wide-format printer. Whether you are a professional photographer, digital printer or architectural or engineering professional, we carry a range of paper rolls compatible with wide-format inkjet or pigment ink printers. Be sure to review all of our photo and presentation papers, including our standard-sized photo printer paper. Photographers and digital printers can find several choices of wide-format photo paper in coated or uncoated finishes and compatible with either inkjet or pigment ink printers. Look for photo paper that provides a high level of color and contrast and dries quickly for easy handling. Be sure to choose a paper width compatible with your printer, and consider the weight of the paper, depending on the print quality you desire. 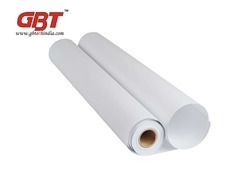 Many of the wide format paper rolls in our assortment are designed for printing posters, drafting materials, presentations and other display projects. Look for papers compatible with your printer, with the weights and finishes you think would work best. For signage, consider poster printer paper that works both outdoors and indoors. Be sure your ink, dye or pigment is suitable to such use as well. only used in garment factory for drawing layout cutting.